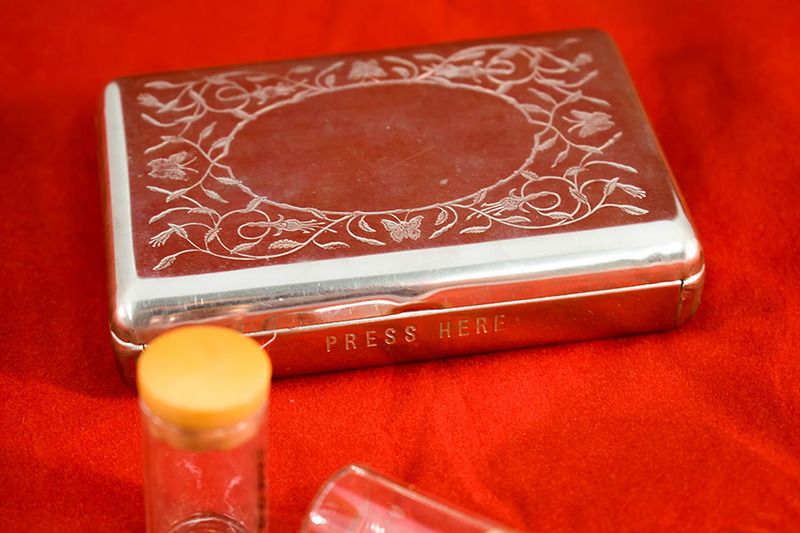 The metal case is lined with crimson padded velvet and contains five glass-stoppered bottles. 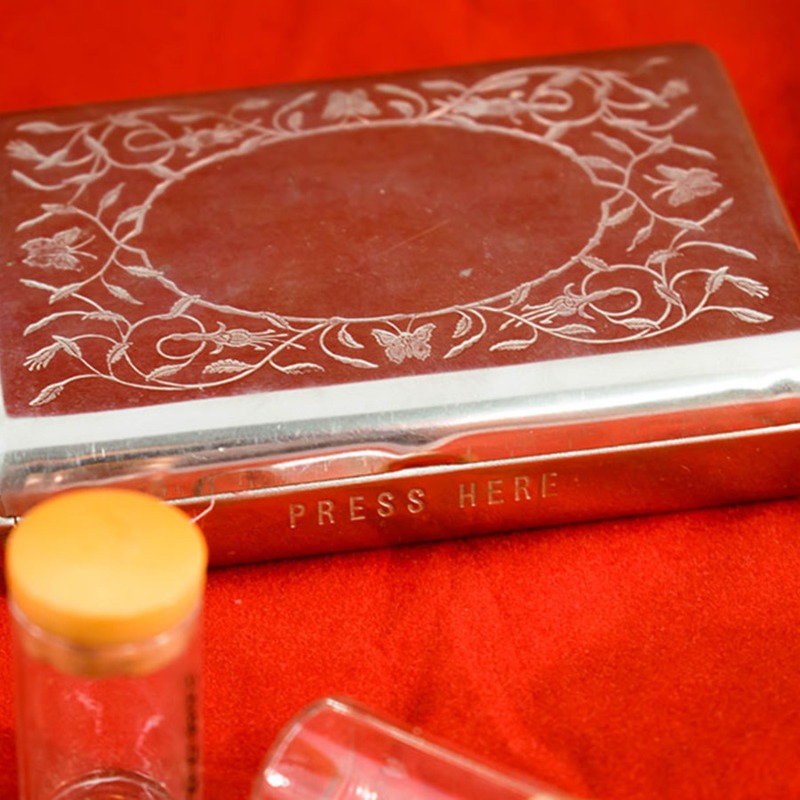 The case is contained within a brown cardboard presentation box, also containing two additional drug bottles in fitted inserts. 10.5cm in length, 7.3cm in width, 2.4cm in depth. 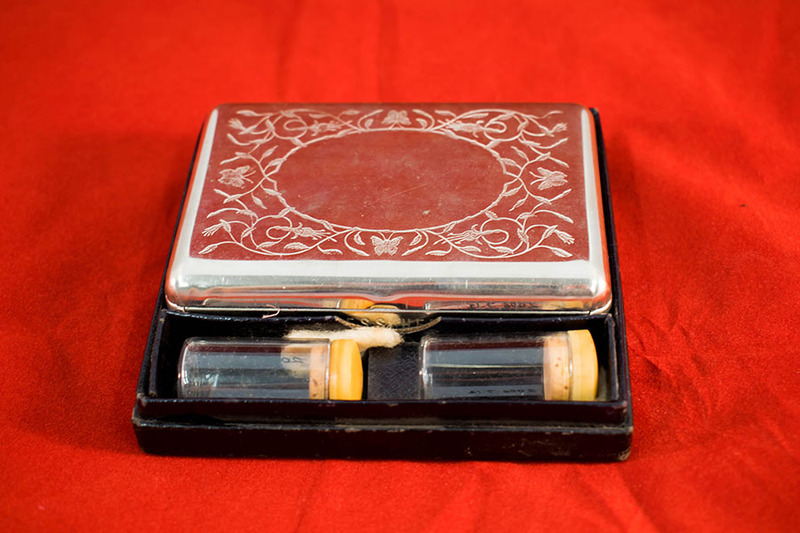 “Cased Set of Small Drug Bottles,” Heritage, accessed April 23, 2019, https://heritage.rcpsg.ac.uk/items/show/483. 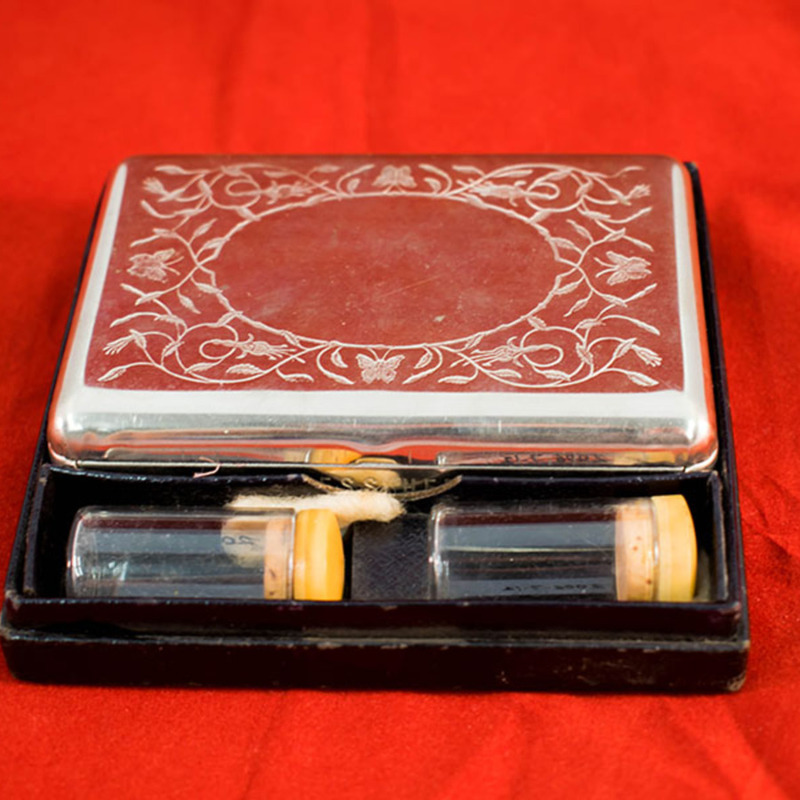 Description: The metal case is lined with crimson padded velvet and contains five glass-stoppered bottles. The case is contained within a brown cardboard presentation box, also containing two additional drug bottles in fitted inserts. Made of tinplate.